Drum anchor winch refers to the winch widely used to draw an anchor and line for boat anchoring when the boat arrives at or leaves a pier, which is designed with single, double or multiple drums according to anchoring needs. 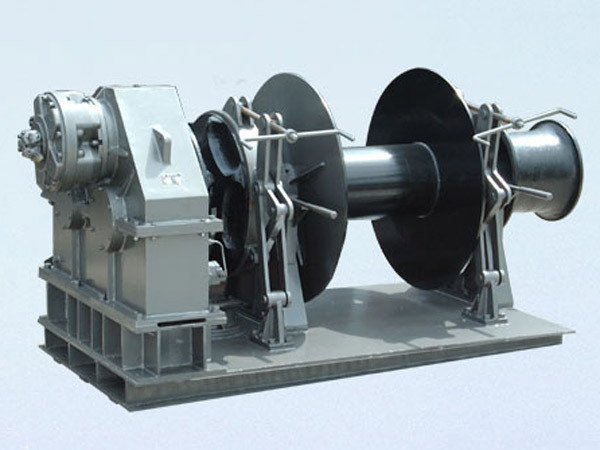 In addition, the anchor winch can also be equipped with warping head or not in the light of customers’ demands. The anchor drum is used for twining the rope or cable, and it mainly consists of axle, gear ring, hub and bearings and so on. When the drum twines the rope or cable, the anchor will be lifted for boat setting sail; when the drum unwraps the cable or rope, the anchor will be released for boat stop. The anchor winch has gypsy wheel for winding chain during anchoring operations, and the diameters, lengths, materials and loading capacities of the chains are different for variety of ships and working occasions. The size and power of the drum anchor winch lies in the length and weight of the anchor and the line it pulls, and those are based on the size, shape and weight of the boat; the boats vary, and the drum anchor winches are different. 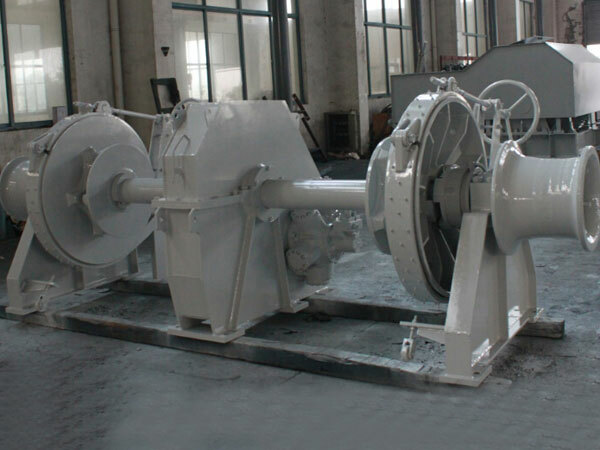 According to quantity of the drum, the winch can be divided into single drum anchor winch, double drum anchor winch, and multiple drum anchor winch, and warping head is optional and it is used only for winding rope or cable but not storing them; an anchor windlass can have one or two warping heads or have no warping head; drums with different diameters have different rope capacities which are designed in accordance with the diameters of rope or cable; the gypsy wheel’s diameter is decided by the chain diameter. It’s important for them to match with one another to ensure the safe work. According to drive mode, the winch includes electric anchor winch, hydraulic anchor winch, diesel anchor winch, pneumatic anchor winch, manual anchor winch, and electric hydraulic combined anchor winch. 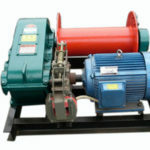 Manual winch is used on very small boats, which has small load capacity. Electric and hydraulic drum anchor winches for boats are more commonly used on different types of boats including small and heavy boats. When you decide to buy an anchor drum winch, you should be clear about what kind of drum winch you really need, do you opt to choose electric drum anchor winch or hydraulic anchor winch ? would you like to buy single-drum windlass or double-drum windlass for boat anchoring operations? where will you buy the drum winch for your boat? 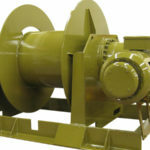 how will you choose a professional and reliable anchor winch supplier? etc. You have to consider all those questions before you make your final choice on the winch. Anchor windlasses are chosen by clients complying with their boats’ sizes, usage, and use occasions. There are anchor winches for small boats and large boats. 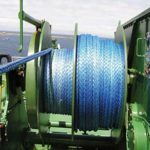 If you are not sure about how to choose the suitable anchor marine winch for your boat, just drop us notes with the information on your boat, and then we can respond you with a range of anchor winches for sale for you to choose from. Ellsen has professional technical team for anchor drum winch designing and manufacturing, our professional engineers will offer you the perfect winch solution according to your special requirements. 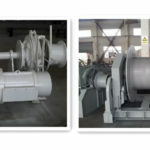 If you choose a winch supplier who lacks in experience and reputation, you may not get professional suggestions and winch products, that is why it matters a lot to cooperate with reputable windlass manufacturers. 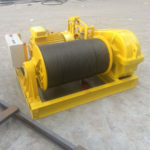 Ellsen is just one of the leading and professional marine drum winch suppliers in China and you will be very satisfied with the winch product provided by us. 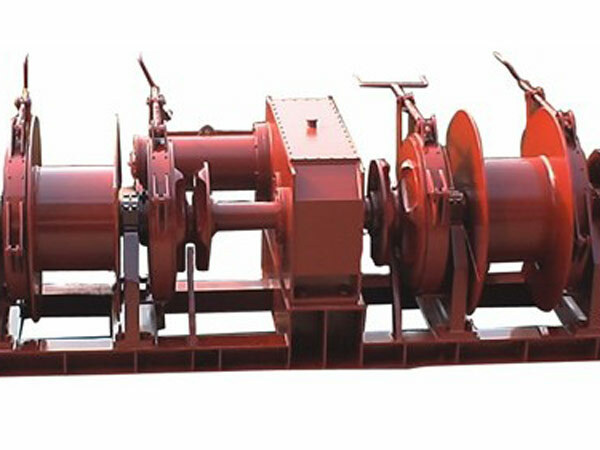 To get more details on our drum anchor winch for sale, please just contact us now.